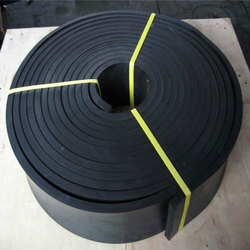 Leading Manufacturer of rubber strip, natural rubber strip, epdm rubber strip, rubber sealing strip, sbr rubber strip and black color rubber strip from Hyderabad. 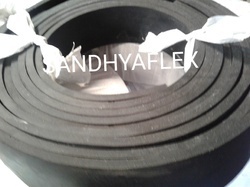 Sanddhya Enterprises manufacturer and Supplier of Rubber Strip, We are offering Natural Rubber Strip to our clients. 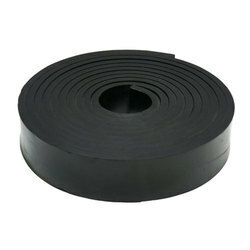 Sandhya Enterprises Manufacturer adn Supplier of Exturding Rubber Strip, Polymers NR . SBR , NBR, Neoprene and EPDM, Color Black, Hardness 55 to 70 Shore A , Max Lenght 100Mtrs. 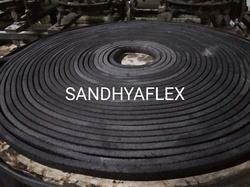 Sandhya Enterprises manufacturer and Suppliers ofSE- EPDM Rubber Strip. 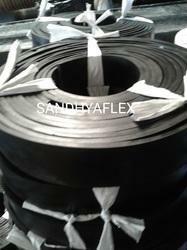 size:2mmx5mm to 100mmx100mm, for more deails pl contact to Mr Mithilesh Chaudhary 9652998932, email;sandhyaprises@gmail.com, Website: www.sandhyaflex.com, Payment terams 50% advance with Purchae Order and Balance against Proforma Invoice. ,Delivery 7 to 15 days max. We manufacture a wide range of rubber strips in various shapes (Rectangle, Triangle, Square, or any other shape) as per the specific requirements of our customers. These strips can be made from all types of rubber grades like Viton, Silicone, Neoprene, Nitrile, EPDM, Natural in solid as well as sponge type.